Derby Grammar School has smashed its target to raise £50,000 in 10 years to help improve the lives of schoolchildren in Africa. 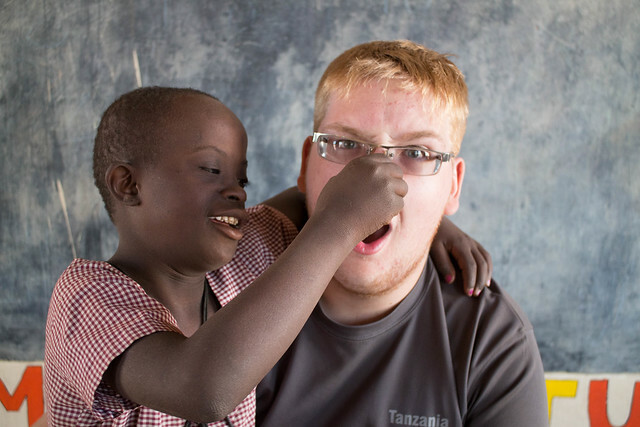 The school launched the Tanzania fundraising project in 2013, with the goal of raising £50,000 by 2023 for Gedeli B School in Mwanza but students and staff have already raised £83,000 after just five years. The aim of the project, which has been shortlisted for a national award, is to supply Gedeli B School with educational resources, such as pens and paper and even actual classrooms, and students from Derby Grammar visit every year. When the project was launched in 2013, Gedeli B School had 1,357 children in five classrooms – an average of 270 children per class – they had no water, electricity, text books, sports or educational equipment. With the £83,000 raised so far, Derby Grammar School has built four classrooms, installed electricity and running water, built toilet blocks, supplied classroom equipment and specific resources for children with special needs, provided sanitary items for older girls in the school, supplied every child with school books, pens and pencils and given the headteacher a laptop, printer and a photocopier. Dr Ruth Norris, Head at Derby Grammar School, in Littleover, said the school was extremely proud of what had been achieved in Mwanza. This year, 26 Year 12 students visited Gedeli B School where they taught lessons and improved classrooms. They also visited an orphanage for children who attend the school and a home for babies who have been orphaned. Students could also choose to either go on safari or climb Mount Kilimanjaro, the highest mountain in Africa. Sam Veitch was one of the 26 pupils. He said: “We’re aware of the trip all the way through school and we all look forward to it. We had to raise £4,000 each to fund it and I raised £500 of that by walking the West Highland Way. Freya Lockley said it was the trips to the orphanages that affected her most. She said: “Going to the orphanages was really emotional, seeing children who had been abandoned perhaps because they were disabled, mixed race or albino. Vicky Charnock, Head of Upper School, and April Sly, Head of Junior School, organise the trip for the students. The school will find out in November if it has won the Independent Schools Association Award for Outstanding Contribution for International Understanding.